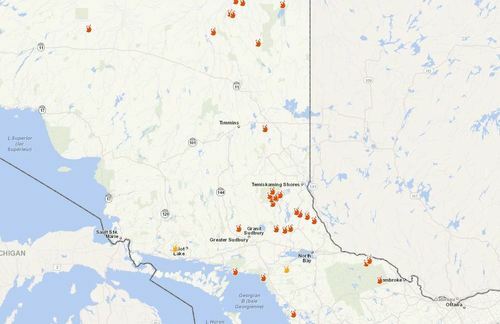 Across northeastern Ontario, 39 forest fires are burning. 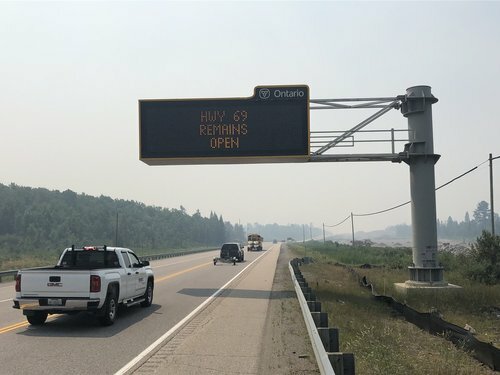 May seem obvious at this point, but pretty much all of northeastern Ontario is a restricted fire zone. 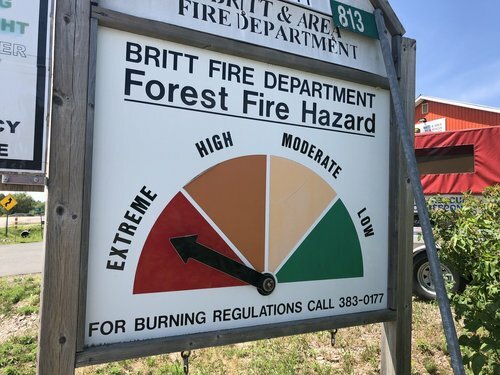 Bell says that due to the rocky Georgian Bay terrain and dry forest, he’s never seen anything quite like #ParrySound33 in Alberta. 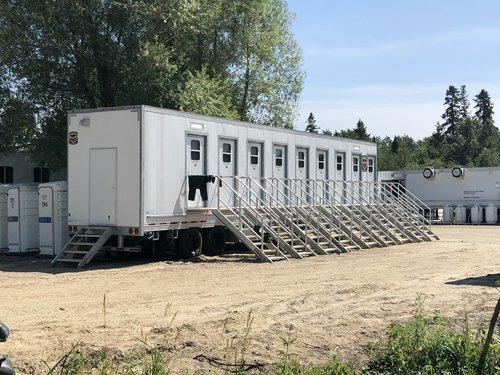 Alberta fire information officer Matt Bell will call a mobile bunkhouse like this home for the next 2 weeks. 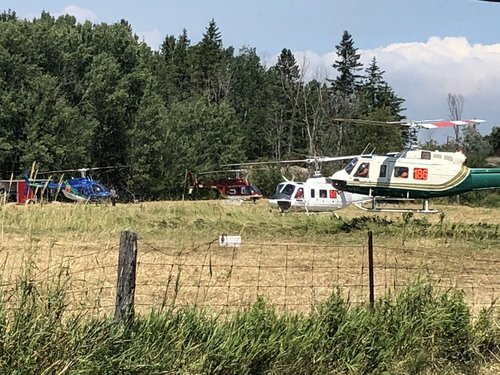 This field in Britt has become a landing/launch pad for helicopters helping fight the #ParrySound33 forest fire. I'm signing off from Sudbury, called back to @CBCWindsor . 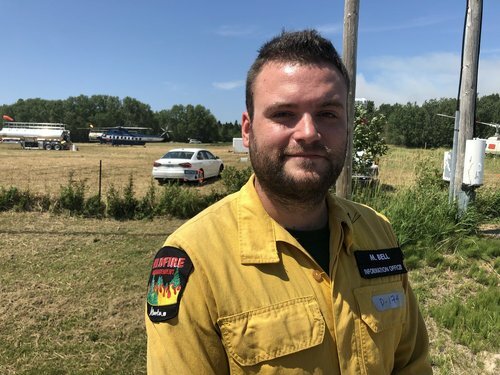 @JamminAube1 is on the fire along with @CBCSudbury . Thank you for sharing your stories with CBC as crews work on Parry Sound 33. I'll try to poke some rain out of the clouds as I fly home. 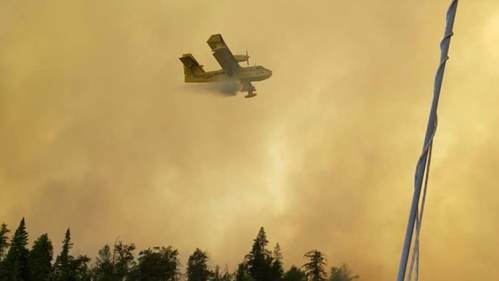 The MNRF says Parry Sound 33 Fire is now 8973 hectares in size and is not under control. 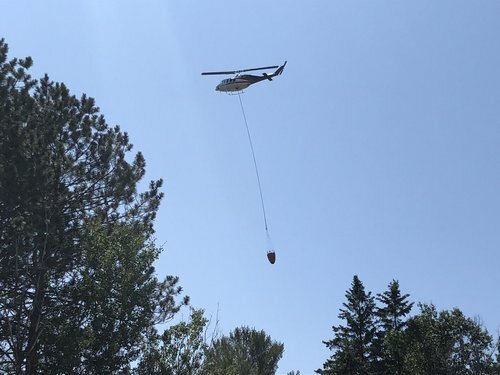 CBCWork continues to battle dozens of forest fires across northeastern Ontario as crews deal with a dry, windy day.